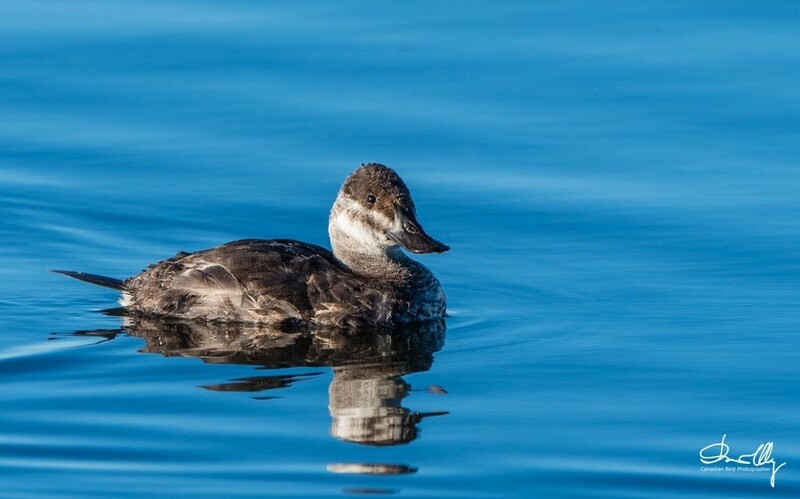 Of all the Ducks I have photographed, the little Ruddy Duck is my favorite and the funniest. In the Birding book, Birds of Alberta they are referred to as - the clowns of the wetlands. They make gurgling bubbles to attract a female and display with their tail feathers straight up. For bird photographers they are very cooperative for photographing and make great subjects in early morning light. They can be found in Marshlands in the Prairies from April to September. The female lays an incredible number of large eggs up to 14 in some nests. The eggs are larger than a Mallard's eggs, amazing for a small duck. 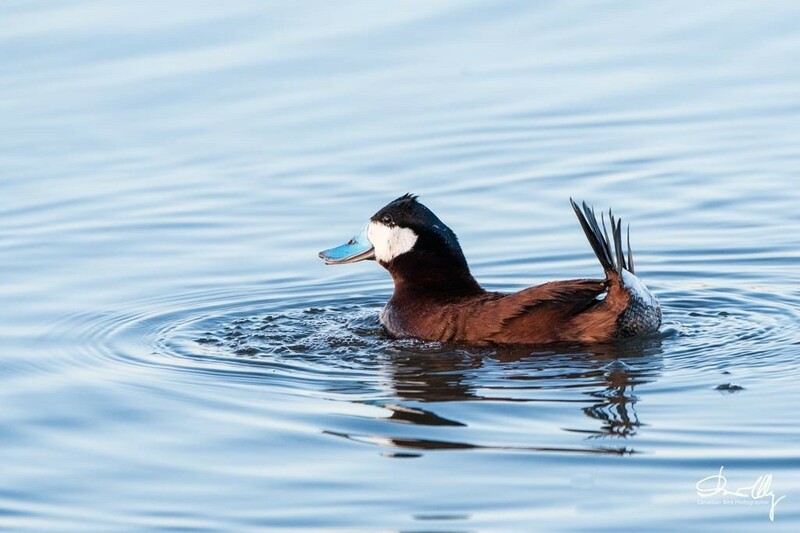 They are easy to ID, since there is no other Male Duck that looks like the Ruddy Duck. 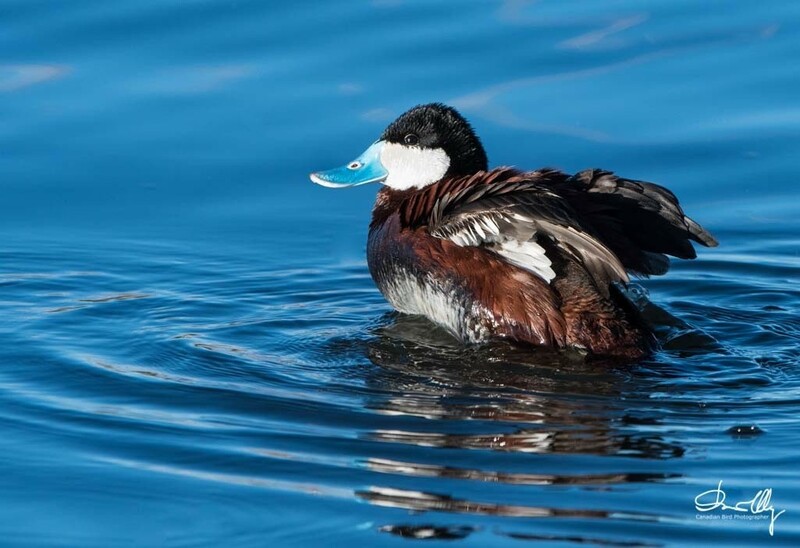 Also, the distinct bright blue bill is a dead giveaway on the male. The female is less obivious (see below photo), but the small size and she will be seen close to the displaying Males.